It's time for a release again. It's long overdue and the next one will probably take just as long. So don't hold your breath. 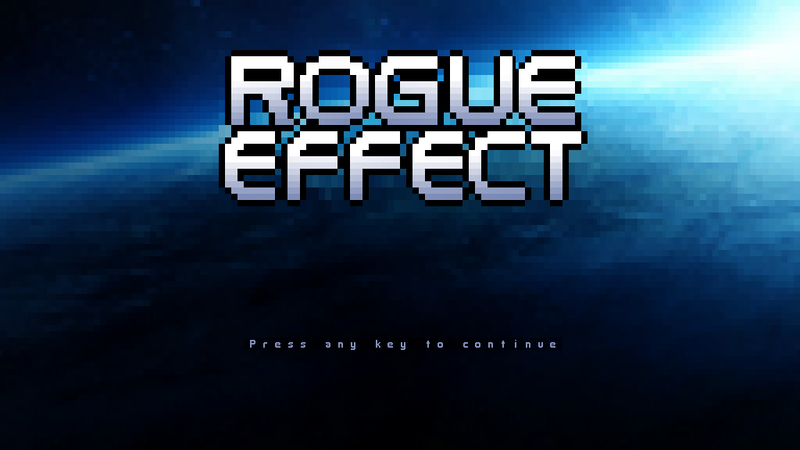 I do plan to get Rogue Effect to 1.0 during the next year, though. And I sure do hope I succeed 'cause I'd really like to work on something else for a change. The highlights of this release are the three Human classes: Sentinel, Infiltrator, and Vanguard. There's a cool death/victory screen to recap your run now as well. I also made the game easier by removing enemy damage scaling with player level. And thanks to that, I managed to actually beat the game for the first time! I might reintroduce the scaling later on as hard (impossible) mode or something. The main things I will add in future versions are 12 new player classes (3 per release) and a small achievement/challenge system for the final 1.0. A word of warning: While testing this release on my netbook just minutes ago, I noticed that spawning Engineer's Combat Drone might crash the game. I tried to fix a bug yesterday and apparently made it worse. Unfortunately I also made it the default power for the class earlier. I will probably do a stealth release (v0.5.1) soon, but in the mean time I'd suggest avoiding the Human Engineer. OMG this is freakin awesome! 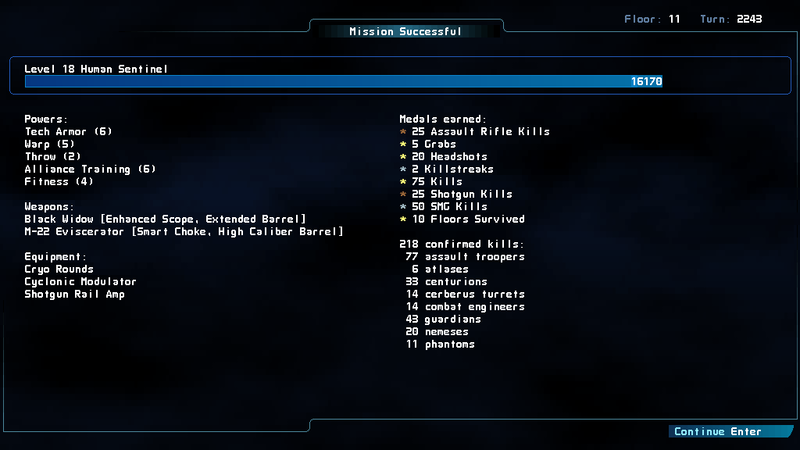 I love Mass Effect and Roguelikes! Thank you so much for putting effort into this game and making it possible! Any chance of Linux or Mac builds? If not source available (for the sake of compiling it)? It looks so awesome! No plans to release for Linux/Mac. Oh, any reason -- whatsoever technical -- for that? The game closed a few times on me when I vanguard charged into a guardian - any idea on that? It doesn't even show any error messages or leave any logs, just closes. Please take a look at that if possible because I completely adore high risk high reward vanguard playstyle. Yeah, I encountered the bug, too. I can't promise a fix soon as I need to locate the cause first and that might take awhile in this case. But I am looking into it. Tactical cloak for infiltrator doesn't seem to be working. I keep getting shot at when I'm invisible. Could you fix this bug?